When you visit our websit,e www.eelabelfactory.nl, and you register or order products, you may be prompted for specific personal data, including your corporate and personal name, contact information, and credit card or bank information. eelabelfactory.nl has no access to your credit card or bank details and our payment system is highly secure. However, information can be collected about the way in which you use the website and information about messages you post on the website or sent to us by e-mail or post can be stored. Make sure you always enter a valid e-mail address. If you don't, we cannot accept your order. Let us know immediately if your e-mail address and/or delivery address is or will be changed between the time of ordering and the delivery of your order. If you don't, we cannot be held liable for non-compliance with our obligations as a result of this unannounced change. Van Engelen & Evers b.v. is owner and operator of this website. All content on this website is secured and is subject to the laws and regulations governing copyright and trademark. Nothing from Van Engelen & Evers b.v. may be copied, transmitted, distributed, reproduced, republished or uploaded, or used for commercial purposes. Your information will enable us to offer you access to parts of our website and deliver the goods you have ordered. They allow us to contact you when necessary in connection with your orders. We will also use and analyse the information collected to support, improve, and develop our services. More specifically, we may use your data to you to ask for your views on our services and contact you occasionally about important changes or development on our website or in our services. Moreover, we can use your data, on the basis of voluntary notification, to update you via e-mail regarding interesting products in our range. If you change your mind about this at a later time, you can let us know. This agreement may be terminated by both parties at any time. You have the right to the data that we hold about you and you can ask us to make any changes to ensure that it is accurate and current. We have security measures in place to protect your data against access by unauthorised persons and against unlawful use, accidental loss, destruction or damage. We can not guarantee that our website is always available and free from errors, nor that it will be free of viruses or any other harmful elements. Prices and conditions may vary. It is recommended that you check current prices before placing a new order. All rights, contracts, orders, and quotes comply with Dutch laws and regulations. Prices include VAT and shipping costs. Delivery is handled by GLS in NL/Belgium and by TNT in other countries. Van Engelen & Evers b.v. is not liable for delays due to organisational problems at transport companies in the countries concerned. Van Engelen & Evers b.v. is not liable for longer delivery times, damage, or loss by the transport company. Only credit card and bank payments are accepted on this website. You will receive an e-mail message as soon as payment has been received. Because the labels are made especially for you and can not be used for any other purpose, Van Engelen & Evers bv cannot be liable if you change your mind, nor for misspellings, or colour or font changes, unless you submit the corrected information on the day of the order. You will not receive a refund for your order if you have not followed the usage instructions. Small differences in colour and font can occur. In all other cases, the product will be re-created as soon as payment is received. Each order will be sent within the time period specified on the website. If a product is temporarily unavailable due to stock shortages, you will be immediately informed. If the ordered product can not be delivered, you will be notified by e-mail. If we fail to agree on an alternative product or if this alternative product is not available, payments already made will be refunded. eelabelfactory reserves the right to remove products from the website at any time. eelabelfactory.nl is not liable for the consequences of removing products from the website or for refusing to process an order. All deliveries are sent to the delivery address specified by you on the order. eelabelfactory.nl is not liable for the non-delivery of a product if the delivery address is incorrect, unless it is the result of errors on our part. In the latter case, we will ensure that an identical product will be delivered as soon as possible. 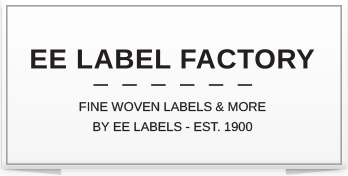 eelabelfactory.nl can provide labels worldwide. For every order you place, you will receive an e-mail confirmation with your order number, order information, and payment confirmation (via bank or credit card). Because we exclusively deliver labels and products personally, production can only be started after payment has been received. We make sure that your order will be processed via a secure connection. However, we are not liable for any damage or loss that results when third parties gain unauthorised access the data that you send over this secure connection. The available forms of payment are listed on the website. The technical steps that you as a buyer go through on the website to place an order are described below: Step 1: Add the desired products to your shopping cart Step 2: create a user account or profile with all required payment and shipping information (required fields are marked with an *). As a buyer, you are solely responsible for the accuracy of the information provided in your account. Do not place orders if this information is incorrect. Step 3: choose a payment method and confirm the order details. Step 4: enter your payment and confirm your payment details. ;a) If you place an order with products for which a minimum age applies, you will be asked to declare that you are the required legal age for the purchase when placing the order. b)If the seller discovers that the buyer does not meet the legal age requirements for ordering specific products, the seller has the right to cancel the order without notification. The seller is not liable for delays or non-fulfillment of their obligations if this is the result of events or circumstances that are beyond the reasonable control of the seller, including but not limited to force majeure, labour disputes, accidents, war, fire, communication, telecommunication, or computer failures, factory or machine failure or shortages, or the absence of natural resources. In such cases, the seller will be entitled to suspend their obligations. The decision by a court of competent jurisdiction that any provision of these terms and conditions is invalid, unlawful, or unenforceable shall not affect the validity of the other provisions, which shall remain in full force, with the exception of the invalid or unenforceable provision, as if the agreement were entered into without the invalid, illegal or unenforceable provision. The seller has the right to change these Terms and Conditions at any time. However, this does not affect the conditions that are accepted by the buyer when placing an order. The interpretation and execution of these terms and conditions shall be governed by Dutch law and will be subject to the exclusive jurisdiction of the Dutch courts.